Wat plailaem at sunset, famous temple on ko samui, thailand. 4k00:10Timelapse of Metal Castle Temple (Loha Prasart), Bangkok. The name in Thai, Loha Prasart, means iron castle or iron monastery. It is located near Khao Sarn Road. 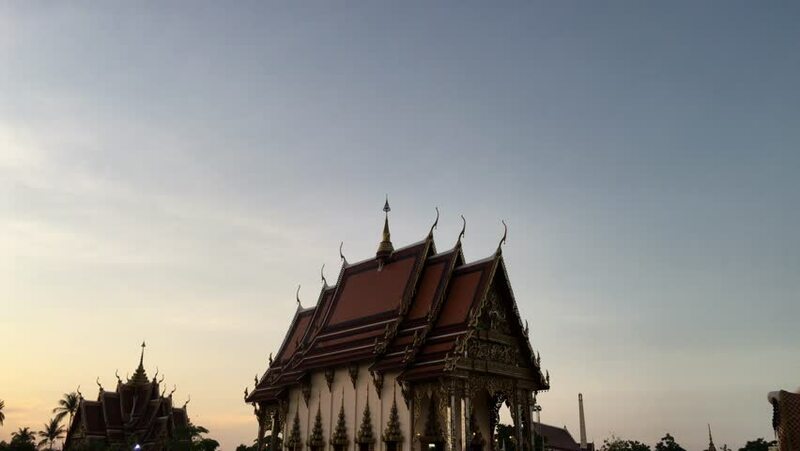 4k00:11Timelapse of Metal Castle (Loha Prasart), Bangkok. It has unique structure and its decorations. The name in Thai, Loha Prasart, means iron castle or iron monastery. It is located near Khao Sarn Road. 4k00:12Rooftops, skyscraper, and trees make up this panorama shot of Frankfurt, Germany. The camera moves to the right. 4k00:19Bangkok, Thailand-January 22, 2016: Tourists walking around Wat Phra Kaew. Wat Phra Kaew and Grand Palace are one of the most popular tourist destinations in Bangkok.